The Temple University Marching band performed Walk The Moon's "Shut up and Dance with Me" on Saturday and it was awesome. So good in fact that Walk the Moon themselves gave them a special shout out on twitter. 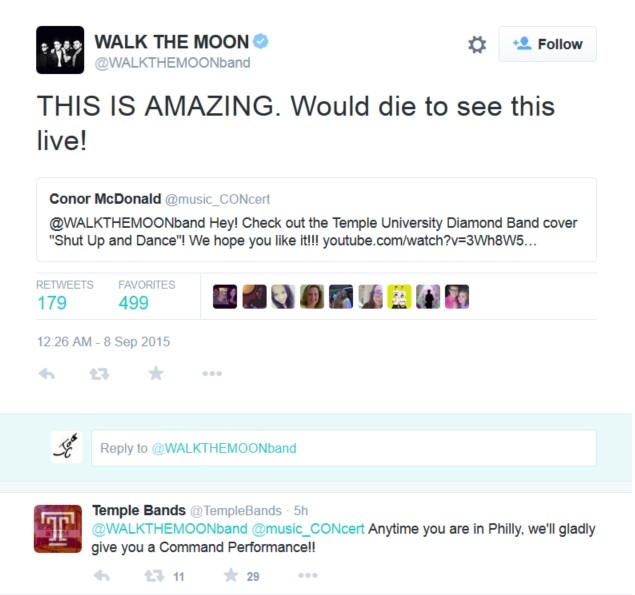 Temple has become the kings of getting shout outs from popular bands. Last season Paramore gave them some love as well.